AVAILABLE IN FOUR DIFFERENT COLOURS ALL BLACK BLACK AND WHITE BLACK AND RED BLACK AND ORANGE PLEASE SPECIFY WHAT COLOUR LETTERING YOU WOULD LIKE OR YOU WILL RECEIVE THE COLOUR LISTED BELOW Stand apart from the others with our Brute Status Raptor inspired front grille for your Ranger.. Based upon the design of the F150 Raptor that's so famous in the USA this simple upgrade will totally transform your ranger. AVAILABLE IN FOUR DIFFERENT COLOURS ALL BLACK BLACK AND WHITE BLACK AND RED BLACK AND ORANGE PLEASE SPECIFY WHAT COLOUR LETTERING YOU WOULD LIKE OR YOU WILL RECEIVE THE COLOUR LISTED BELOW Stand apart from the others with this Raptor inspired front grille for your Ranger.. Based upon the design of the F150 Raptor that's so famous in the USA this simple upgrade will totally transform your ranger. This part was removed from a Right Hand Drive Vehicle. Compatibility is a guide only. Your item will need to be signed for. TRIM LEVEL. Wheel Arch/Spat. T220 LWB 1.8 TDDI 5 Speed. Part Number. 2T14 A278L00 A. 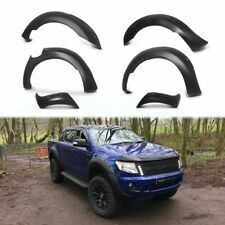 Be the envy of all the other Ranger drivers when they see your truck coming towards them with these menacing wide arches. 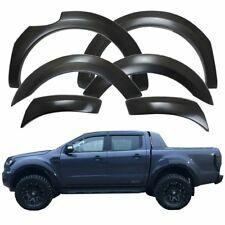 Based upon the design of the F150 Raptor that's so famous in the USA these arches totally transform the look of any Ranger. 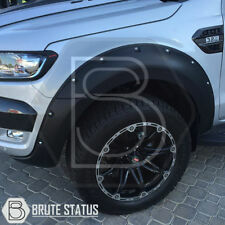 Ford Ranger 2016 Wheel Arch Extensions – Slim. Fits 2016 Ford Ranger Double Cab. High Quality Products, Quick Dispatch. Made from ABS plastic. Matt Black Finish – Can be easily painted. Die Verbreiterung ist aus schwarzem Hartgummi, bruchfest und flexibel gefertigt. Das Set besteht aus 4 Verbreiterungen je 150cm Länge. Das Fahrzeug wird nach dem Anbau um 7cm (3,5cm pro Seite) verbreitert. All arches made of high quality 3 ply fibreglass material, finished in2K colour (dark grey) spraying not required. Collection available in Nottingham. For the correct installation of the body-styling parts is essential knowledge of the properties GRP. All arches made of high quality 3 ply fibreglass material, finished in2K colour (dark grey) spraying not required. Collection available in Nottingham. wheel arches. For the correct installation of the body-styling parts is essential knowledge of the properties GRP. Body Kit, Body Clading- Ford Ranger T6 2016 . Ford Ranger Double Cab T6 Mk.5 2016 (4 door vehicle). O nly fitting new Ford Ranger 2016 models. Easy installation by self-adhesive automotive grade tape. FRONT BUMPER SPLITTER, ADD-ON ( 3 pc). Collection available in Nottingham. We could make any body part making a models/getting mould of a model/to make a copy and install it. Parts must to be prepared and trial fitted to the car before painting. Die eng am Fahrzeug anliegende Dichtlippe sorgt für einen sauberen Abschluss und verhindert das Eindringen vom Schmutz. Die Kotflügelverbreiterung ist aus schwarzem Hartgummi, bruchfest und flexibel gefertigt. (2 for front and 2 for rear). 2X Front Fender Flares. For 2008-2010 FORD F250 F350. 2X Rear Fender Flares. Easy to install, no further modification to the body needed. Detalle de la imagen. 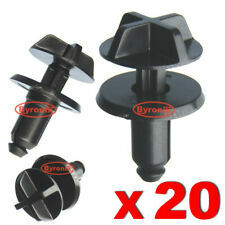 1X Set of Mounting Accessories. Einen Satz 4 Stück Radlauf Zierleisten für. Die Radlaufleisten gehen von Stoßstange. bis zum Schweller und sindca.35 mm breit. Sehr schöne Verarbeitung über 800 Modellvarianten. ( Schwarz Matt ) - kein Kunststoff. Fitting: To fit 7mm hole size - put clip into hole & simply push in the head to expand bottom part in hole - To take out just turn the head anti clockwise. It is very easy to spray to any colour of your preference. For Ford Freda / Mazda Bongo. Adds a great extra style to your wheel arches for Ford Freda & Mazda Bongo vans. These wheel arches have been manufactured from the original Ford parts and modified to fit the purpose. Mk2 1.8 TDCI 5 Speed Hatchback. This part was removed from a Right Hand Drive Vehicle. Compatibility is a guide only. Your item will need to be signed for. Inner Wing/Liner. TRIM LEVEL. Require TIGER seal or polyurethane adhesive to bond against van body. All made of high quality 3 ply fibreglass material, finished in 2K colour (dark grey) so spraying not required. For the correct installation of the body-styling parts is essential knowledge of the properties GRP. Die Radlaufleisten gehen von Stoßstange bis zum Schweller und sind ca.30 bis 45 mm breit. Die Radlaufzierblenden werden individuell für. Einen Satz 4 Stück Radlauf Zierleisten für. Schr ägheck. Blenden ohne Bohren an den Radläufen befestigt werden. 1 x Arch trim. Colour:Matt Black Faded. Body style: Panel van. Position on vehicle: Passenger Left front. South Hams Car Spares. Condition:Good used. 1 x Arch trim. Condition:Good used. Very slight crack. Colour:Matt Black Faded. Body style: Panel van. Position on vehicle: Driver Right front. South Hams Car Spares. Fitting: To fit 7mm hole size - put clip into hole & simply push in the head to expand bottom part in hole - To take out simply turn the head anti-clockwise to unscrew. Einen Set (4 Stück ) Radlauf Zierleisten für. Die Radlaufleisten gehen von Stoßstange. bis zum Schweller und sindca.50 mm breit. Sehr schöne Verarbeitung über 800 Modellvarianten. Schr ägheck. In den folgenden Grundvarianten:Chrom Wichtig ! MG MGF (RD)199503 - 200203. ROVER MONTEGO Break (XE)198410 - 199312. ROVER 200 (XH)198503 - 198909. ROVER 800 (XS)198610 - 199902. ROVER 800 Hatchback (XS)198610 - 199902. ROVER 200 Hatchback (XW)198910 - 199510. FORD FIESTA (2010 - 2017). Details : FORD KUGA ZETEC TDCI 2WD Wheel Arch/Spat Mk1KUGA 2010. Model : KUGA. KUGA 2008 -2012 Mk1. Vehicle Colour : UNK. Make : FORD. Door : 5 Door. Part Type : Wheel Arch/Spat. Year : 2010. Zubehör für PKW, Pickup, SUV z.B. Frontschutzbügel, Überrollbügel und Schwellerrohre. Die Verbreiterung ist aus schwarzem Hartgummi, bruchfest und flexibel gefertigt. Das Set besteht aus 2 Verbreiterungen je 150cm Länge. Se adapta a 2016 Ford Ranger doble cabina. Más de 10 años de experiencia y conocimiento. Le permite mantener las aletas de fango de OE. Productos de alta calidad, el envío rápido. Accesorio de taladro no. Ford Ranger T6 4 x 2 4 x 4 camioneta. Puede no apto para 2 puertas, cabina abierta puerta 2. Las imágenes son sólo para referencia. Robusto construido con Material ABS de alta calidad. 6 piezas x llamaradas de la defensa negra. FIESTA DE FORD (2010-2017). Reference OE/OEM Number 1553657 1553655. PLACE, SIDE:FRONT, RIGHT LEFT. ORIGINAL PART NUMBERS: 1418344, 4993753. OTHER PART NUMBERS: PFD11154AR PFD11154AL. Other Part Number PFD11154AR. Manufacturer Part Number PFD11154AR PFD11154AL. Reference OE/OEM Number 4993753. Reference OE/OEM Number 1418344. Unit Type Unit.